Feb 6, 2018 - The Ventura County Board of Supervisors approved a contract for technical studies on Matilija Dam removal. This is the first phase of the work plan funded through a $3.3 million California Department of Fish and Wildlife Proposition 1 grant received by the county in May, 2017. 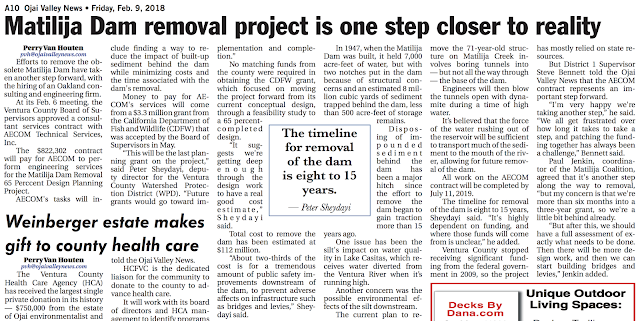 The $822,302 contract with engineering firm AECOM is Phase 1 of the $3.3 million Matilija Dam Removal 65% Planning Design Project. 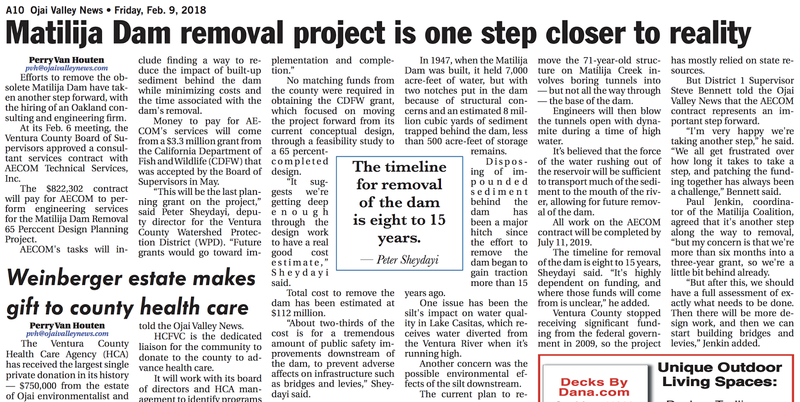 Field work is to commence 7/7/2018 with The Final Dam Removal Feasibility Report to be completed by 07/11/2019.